With the weather not wanting to cool down and 2 back to back hurricanes it was a tough month for fishing. We managed to squeeze in a few days offshore with decent results. We ran out to the Party Grounds and the 15’s chasing King Mackerel. Water temp still in the 80’s and the winds out of the east it didn’t take long for the planers to get bit. We ran black/silver spoons along with Bonita strips and a pink sea witch. 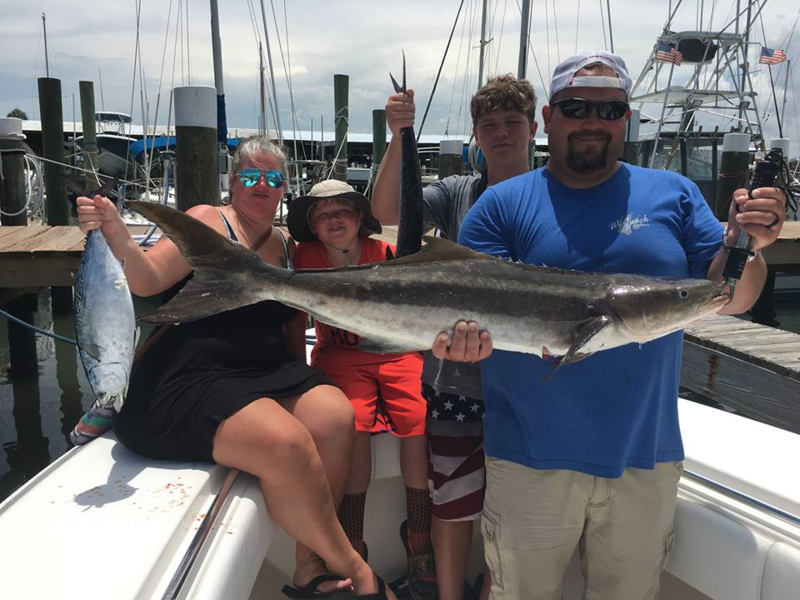 Trolled over ledges and artificial structures with plenty of kings in the box and even a decent cobia. We had 2 wahoo runs at the party grounds both ended prematurely with one breaking off at the boat and the other spitting the hook before we got a look at him. In the mix of kings we landed plenty of red snapper, amber jacks and a few Spanish mackerel. Next month we target wahoo, grouper and sailfish. 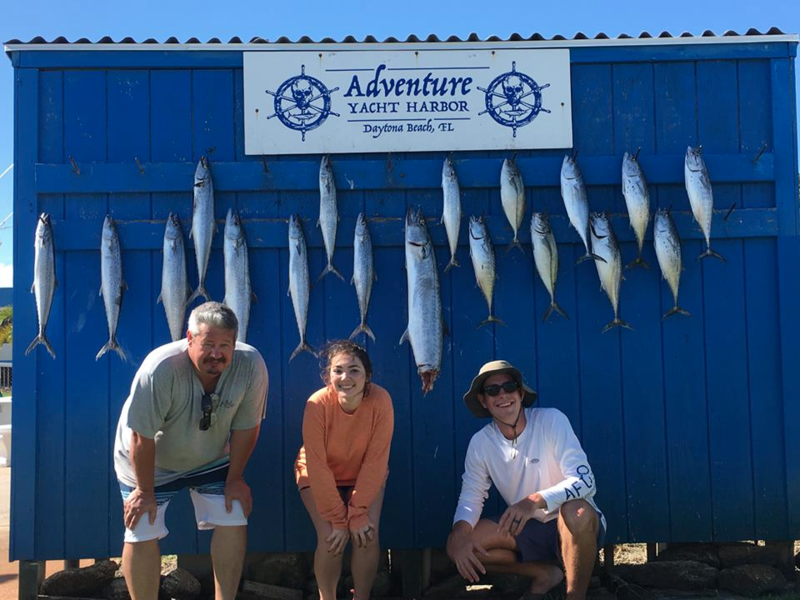 Let’s plan your offshore fishing charter soon! We operate out of the New Smyrna Beach, Daytona Beach, Ponce Inlet, and Port Orange areas of Florida.